Growing up as a southern girl in a small town, where everyone knew everybody and all their business there wasn’t much that ever stayed hidden for long. Gossip tended to flourish even over the smallest insignificant things despite the Sunday sermon that preached against it. And yet, there was a wide path of forgiveness, where amends could and would be made if you planned on becoming a lifer. Especially, if you belonged to the same church and came with either a contrite heart or with a reasonable explanation requesting prayers. Church was known to be a place where reconciliation occurred not just between the penitent and God but with the community. Where you were encouraged to foster relations between Christ, neighbor and stranger alike refusing to let them fall. Moreover, by inviting a new friend you participated in a grownup Christian show and tell. Out of town relatives and those who had left other churches were considered indeed special as they were entitled to a warm welcome. Now in an age where an event can not only make the evening news but is broadcast all over social media, it is no wonder why community reconciliation seems near to impossible. Likewise while you may know several repeat families at a particular Mass, the thought of inviting a new friend and introducing them is itself a foreign concept. Thus, in a strange dichotomy, Church can be a place that is a solitary and isolating experience where the in club includes everyone but you. Recently I encountered one such believer, who through no fault of her own had found herself alone and pitted against the world. Circumstances created by another had placed her family first and foremost in the center of the news. Due to the nature of the event, she could not help but feel judged and defined forevermore. However, now in need of help she knew of no where within her own community to turn. And “why would they?”, she questioned, for she did not have the bonds of neighbor or friend to call upon. 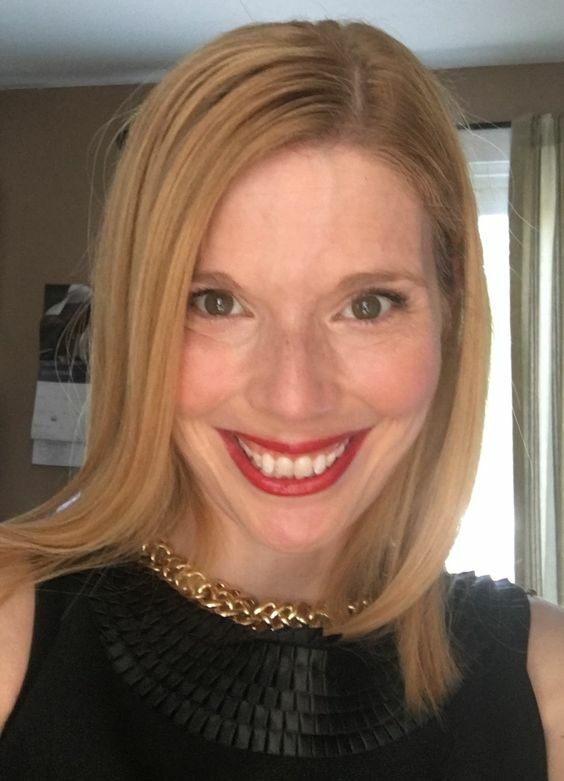 For this reason, her call for help involved a conversation with a church in a neighboring community whom she hoped would have a different perspective. Though, despite my best efforts to encourage her reach out locally, she had already resolved that help was unavailable. Whether or not her assessment was accurate, one thing became clear she needed someone she could trust to turn to. Someone, that is, who could see beyond the precipitous of the crisis providing mercy without scrutiny. While her story is highlighted here it is not a remote occurrence within our society or our churches. Quick to rush to judgment we often listen to the side that is portrayed without considering all of the victims of the situation. Even unintentionally we fail to provide the same merciful encounter with Christ that we are being asked to witness. Yes, “the fields are ripe” and there is much work ahead. 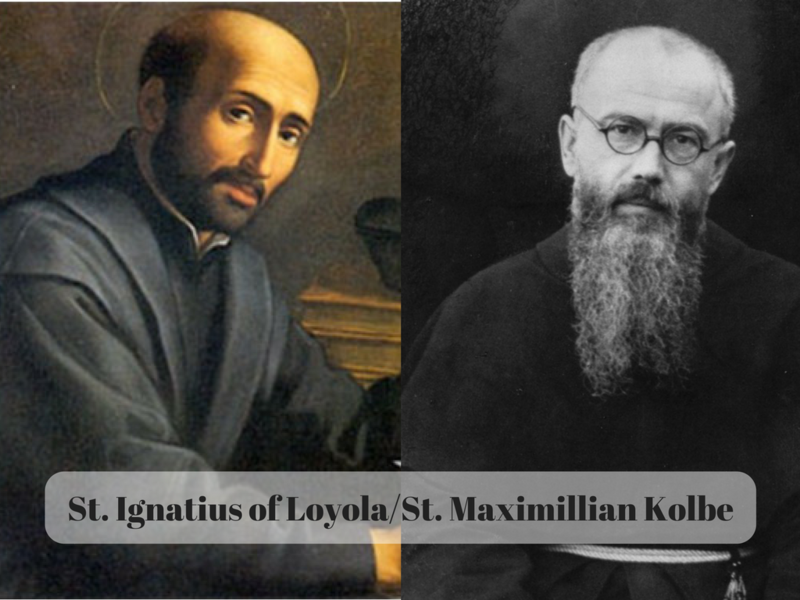 We who have “reaped the benefits” of the labor of saints long before cannot remain idle if we are to have a church community living the Gospel. Welcoming needs to mean more than a smile at the door… as Catholics it must entail an encounter with the real presence of Christ. That is, we must be willing to attend to the real needs of those around us, extending both hand and heart to the isolated, and disenfranchised. Each person becomes then more than a member but a profound witness to Christ alive in this world as well as the promise of eternal life. Do I take God’s love and mercy for granted? Has my discipleship and witness become stale? Who might be in need of an encounter with the living Christ today? This quote by Bruggeman truly calls attention to just how we understand knowledge, and become aware of God’s immanence and transcendence. For many years, I had difficulty with the wisdom tradition’s notion of knowledge stemming from a “fear of the Lord” . Perhaps, it was simply in my understanding of the word fear, which does not aptly describe my understanding of our relationship with God. Even still, was it’s usage in the numerous fire and brimstone homilies I had grown up with. Yet, when we place this word fully in the context of scripture, there is ample clarity. 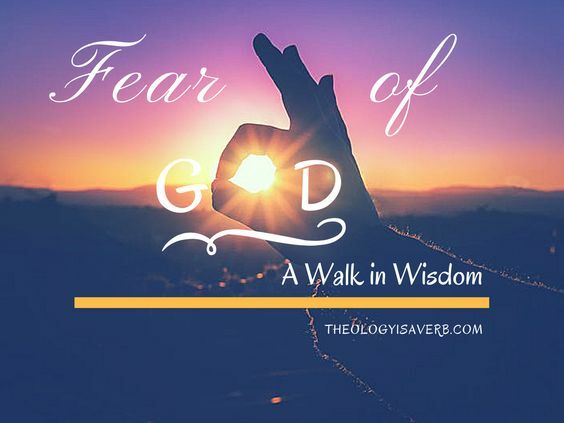 Here “fear” reveals more of an overwhelming marveling at considering the magnificence of God, what he has done, and continues to do within creation. This we are invited to do each time we behold a sunrise, or connect with the eyes of the believer receiving communion, or hold the tiny hands of a newborn baby in ours. In our appreciation of God as the source of all life, and desire to know his will and purpose for our lives, we begin to seek to know more and grow in our love and service to him. What is knowledge then, if not our acknowledgement of the Creator who offers this gift and desires to be in relationship with his creation? In order that we understand this perspective fully, we are given God’s magnanimous answer to Job which attests to his “greatness and which transcends the small moral category of Proverbs”.8 What’s more, God demands a reply from Job as well, not to his innocence or guilt, but in questioning if Job recognizes that it is God alone who holds the entirety of creation in his hands.9 In Job, we are reminded of Jacob, who also “wrestled” with God..but won. Job, however cannot respond to God equally, and realizes finally that he needs to accept God’s mystery of purpose. (Job 42:1-6) In yielding his “complaint and protest” to renewed “hope and trust” God moves forward to restoration of Job’s life and indeed his relationship with God. Interestingly too, God addresses the three friends who had “not spoken rightly concerning” God. (Job 42:7-9) In penance, they were to offer holocaust, and seek the intercession of Job whose guilt they had so easily assumed. Thus, there was restoration for the three friends as well, and vindication of Job’s righteousness. This highlights the significance of sound pastoral ministry whenever we speak or offer comfort. Prayerful reflection must be given to what we do choose to say. Likewise, we must be open to recognizing that we are far from infallible, and when mistakes are made, we should seek reparation as well. Many of us cannot help but smile whenever we encounter the bumper sticker that reads, “What would Jesus do?” particularly when its driver is behaving less than Christian . While, this might provide a somewhat humorous example, it does call attention to just how we live our lives of faith daily. While Proverbs attempts to catch us before we err and in the decision making process itself, experience is far too often the teacher. These are the issues that the writers of Proverbs and Job understood..seeking God in both presence and seeming absence in our lived reality. Both illustrate our need to let God’s wisdom speak in silence sometimes..and let God’s Spirit move in and renew the hearts. 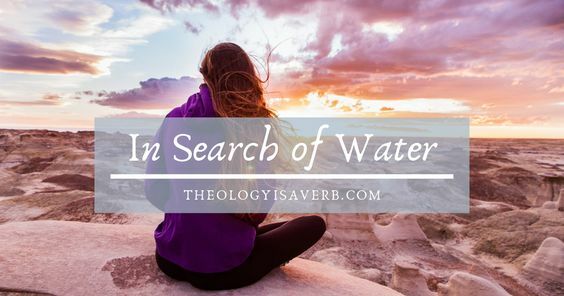 Link up with other Catholic Bloggers or see what they are revisiting this week! Walter Brueggemann, An Introduction to the Old Testament, p. 309. Birch,Bruce, A Theological Introduction to the Old Testament, p. 384. Though perhaps just a date on the calendar, each new year nonetheless brings both an invitation to reflect on the days behind as well as to explore the promise of the days ahead. How is it that we examine the course of events, the successes and failures of the year behind? And for that matter, what determines what is yet to come? The lens that we view this through is essential, as only one offers both freedom and assurance for our lives. My mom was a perpetual optimistic. Certainly not because life had gifted her financially, or that everything in her life was in perfect symbiosis. But rather, she drew her optimism from a deep well, her trust in God. Her hope lay not that she would be given everything she may have wanted but that she would have everything that she needed. Moreover, she fully realized that while so much of life was beyond her control she knew the One who was. Not overcome..those two words really capture her life and that of so many of us in our walk of faith. For it isn’t that once we seek to follow Christ that we cease to experience sorrow or challenges. But when we do, we are given in Christ the strength and hope that he who overcame death will be with us in our greatest need. And against the backdrop of evil at work in the world, that light meets the darkness beginning quite often within us. 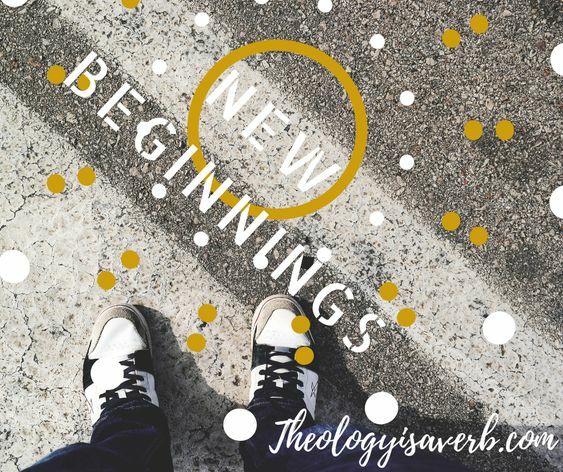 These new beginnings while sometimes seemingly small require a daily re-commitment and dependence not on ourselves but on Christ alone. That is where so many of us go so wrong in making new resolutions for the year to come. While there is a part we play in our yes to God’s plan for our lives, we fool ourselves into thinking that the success or failure lays solely in our ability to follow through. For, God’s promise to us means far more than our prosperity in this world, or on a self-generating professed faith. If that were true than we would no longer need grace, or God’s guidance as we would see ourselves captains of our own ships in life. Instead our hope must rest in our becoming who God created us to be and in what is trusted but remains unseen. We recognize it in those we encounter who the world might not measure up or deem successful who live faithfully, generously and intentionally with purpose. And, in them we see the light and life that is available to us all. If only we are willing to enter in to the new year with trust in what God has in store. Is there a new beginning needed in my life today? Where does my self worth and success lie? What keeps me from trusting? Just the night before I spent hours wide awake with no respite from the events of the day. In my thoughts I pleaded for sleep as I knew that, body and soul, I needed rest. Feeling a bit “battered by the waves” myself I prayed realizing that grace can be found here too. And, in my unrest that he called me out upon the water. Rather than sinking, I chose this time to take one step at a time. My heart responding and as I take each step eyes transfixed on our Lord, I feel no fear. These calm waters I embrace, this peace I seek to keep. You are the Christ and I am in awe of who you are. Here in these moments I appreciate profoundly the difference between spiritual peace and unrest. 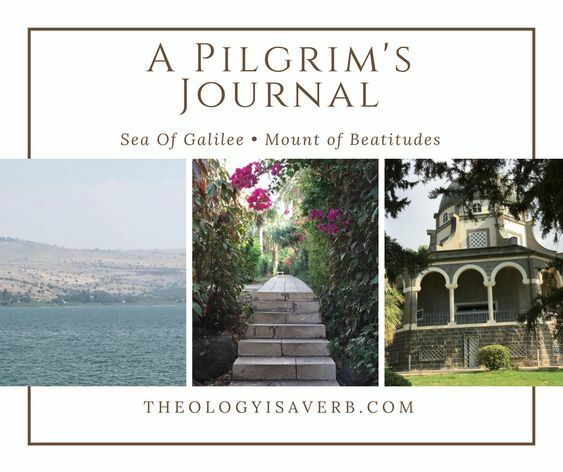 Within the first five minutes at the Mount of Beatitudes, I suddenly discovered myself an unwelcome guest by the colony of red ants who previously occupied the seat that I had chosen. Deciding to walk it off, I soon felt their keen sting and began to wonder how my time here would be spent. Yet as I began to walk on, I found the spot where I had been called. 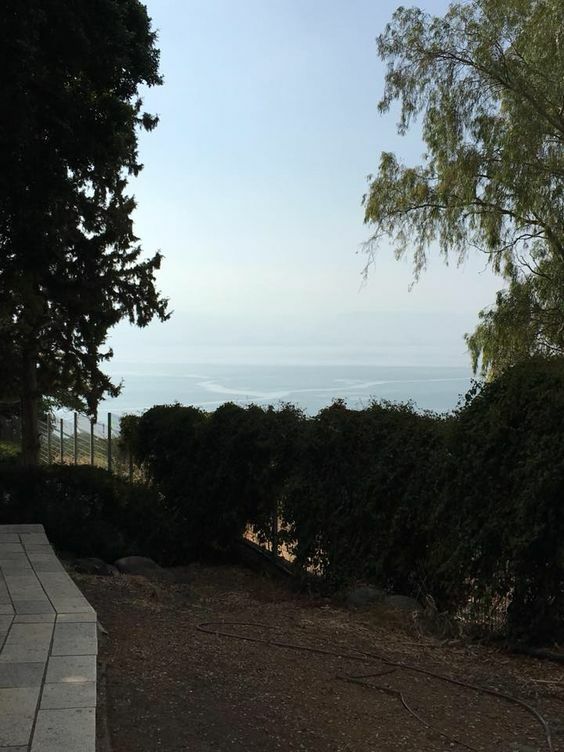 A picturesque scene unfolded before my eyes as I overlooked the Sea of Galilee. At least 15 minutes passed as I stood there gazing at the Sea. My heart could not contain my feelings- a dichotomy of tranquility and overwhelming joy bringing me to tears. And there I heard Christ’s words yet again…”Blessed are the peacemakers”. A peacemaker- an essential part of the very nature of my soul, yet still not something that I was content with calling a gift. Peacemakers, I had ascertained, are rarely welcomed unless successful. Each side clinging to their understanding yet unwilling or unable to move. Yet this, I realized in that instant was what Jesus was asking me to do- and who he created me to be. With tears streaming down my face, I finally made peace with being a peacemaker. 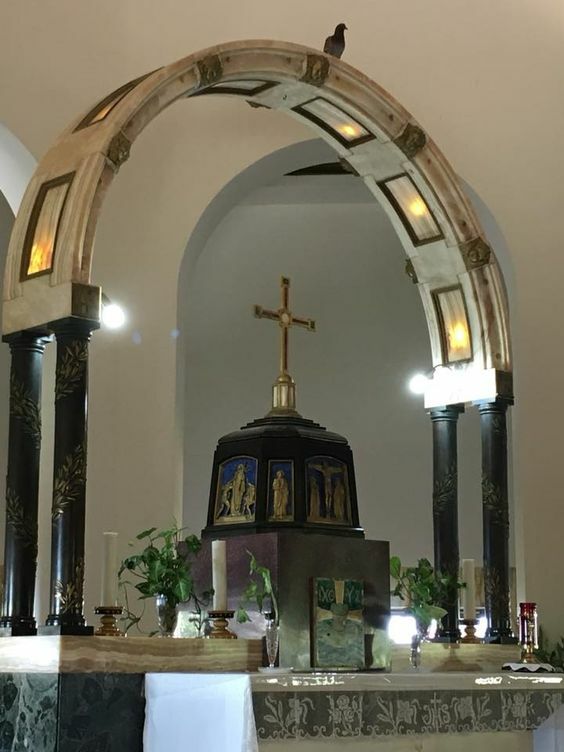 Processing into the church itself, I fell to my knees in front of the cross. To my delight, in gazing up to its center was Christ himself as the Blessed Sacrament. Above that still, a dove sat perched on the high arch above the altar waiting for me to notice it. Then in a fluttering of wings, it was gone. Kneeling there for some time, I thanked God for the gift of himself and for the opportunity to give him praise for the gifts he had given me. Oh my Jesus, you are the preeminent consoler and author of all good gifts. Enable us to both discern and accept your gifts that you have placed within. And strengthen us for the steps ahead as we seek to put your plans into action. A little more than a week ago I returned from a graced pilgrimage to the Holy Land. Each site now holds for me spiritual remembrance where, if I close my eyes, my soul is instantly transported. With words waxed poetically and where there were no words at all, God spoke. Where the scriptures came alive, I took my place walking at times beside, behind and enveloped by the living Christ. 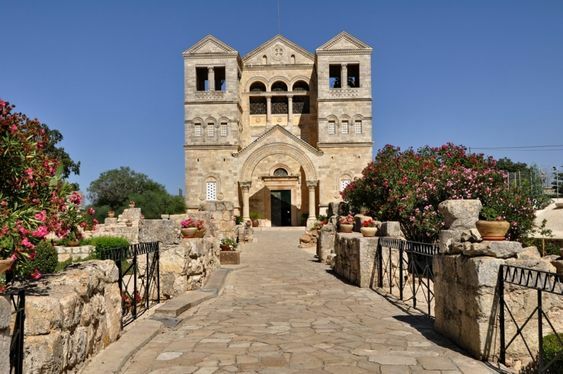 The Franciscan Church of the Transfiguration on Mt. 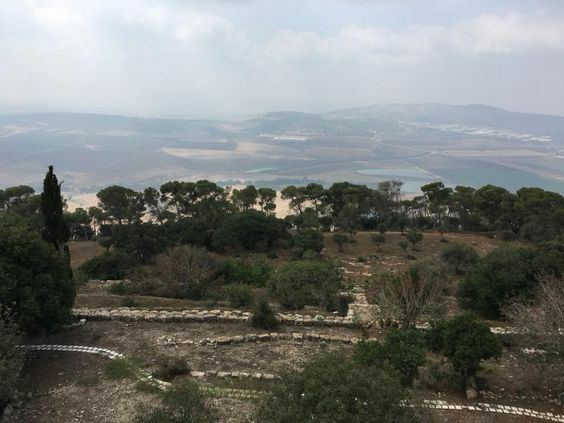 Tabor is a magnificent scene to behold, overlooking the Jezreel plain in Galilee. According to scriptures (Matthew 17:1-9; Mark 9: 2-8 and Luke 9:28-36) that the divine incarnation of Christ was revealed to the apostles as Jesus was transfigured before their very eyes. And just as with Jesus’ baptism, God spoke with clarity as to who Jesus was. “After six days Jesus took with him Peter, James and John the brother of James, and led them up a high mountain by themselves. There he was transfigured before them. His face shone like the sun, and his clothes became as white as the light. Just then there appeared before them Moses and Elijah, talking with Jesus. Peter said to Jesus, “Lord, it is good for us to be here. If you wish, I will put up three shelters—one for you, one for Moses and one for Elijah.” While he was still speaking, a bright cloud covered them, and a voice from the cloud said, “This is my Son, whom I love; with him I am well pleased. Listen to him!” When the disciples heard this, they fell facedown to the ground, terrified. But Jesus came and touched them. “Get up,” he said. “Don’t be afraid.” When they looked up, they saw no one except Jesus. Here I am again in Your gardens, led by your hand having witnessed your splendor. Being given this time to ponder Your love for me. Offered this moment to remember who you have called me to be. Today, I recognize my surprisingly subtle demeanor is at odds with my spirit inside. Who ablaze is all consuming refusing to stay quiet and hide. “Proclaim my love”, You say, ” In all the world let it be known”. In all creation there is no other, in all the heavens no one above. For You are Lord and this is my joy, my hope, the sum of a disciple life’s reward. The harmony in the chaos-the remedy to new found discord. Transforming, yet disarming you ask me to follow without delay. Father, grant that I may know you better, love you greater and serve you endlessly until your face I see one day. As I sit in the gardens atop Mt. 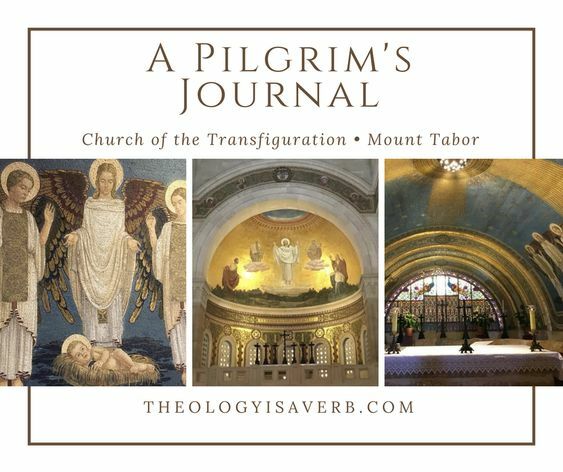 Tabor, surrounding the site of Your transfiguration, I cannot help but be drawn to praise. Like the apostles, I seek to comprehend all that You are. 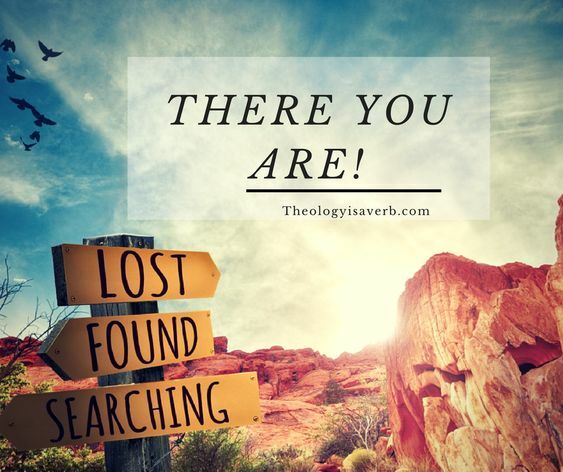 To glean through a gradual unfolding of Your mysteries the fullness of your words- the gift of your presence.True God and true man, I am in awe of who You are and desire to be in my life. Oh the glories You yearn to show me and the mercy given that is greater than all of my sin! This day I bring to you the many intentions carried here- to this place on Your holy mountain. My Lord carry them with you up to the heavens. Leaving only Your peace. And in times of Your absence, let me not be passive but let me desire the intimacy of Your forgiving embrace. This is reconciliation – this is love set ablaze. And it all happens in the stillness of a gentle breeze. “Oh, there you are!”, He says. There is no judgement or guilt in His words as they fall upon my heart. Simply love- and an exclamation of joy that I at last found him in the midst of my day. His desire? Not a feeble attempt at an explanation but rather one undertaken by a beloved to comfort and renew my soul. In this brief exchange between his heart and mine, more is expressed in mere moments than hours of conversation. Who is this God who loves me still? None other than the One who seeks me, waits patiently for my return and all the while holds me and the world all in the palm of his hand. Since returning from retreat, you might say I have been experiencing a “spiritual reunion” of sorts. One whereby I slip into soulful dialogue with God so often, that I cannot judge the time apart. That is not to say that this time is replete with words for there is meaningful silence here too. Each minute full and intentional and I arise aware that whatever is ahead, I am never alone. Needless to say, discernment is immensely easier in these times as God has both our attention and our desire to do His will. Does God have my upmost attention? When do I notice His presence the most in my day? What is it that I seek most at the crossroads in life? These stories which are unique to Luke give us a beautiful portrait of a prophet, teacher, and savior who knows our hearts, minds and whose love is universal. Here we see Jesus as one that focused on the introspection of the individual, sought out the outcast and the lost, was inclusive of women, brought peace in forgiveness, and who valued love over law, wealth and position. Although Jesus speaks to all, it is the outcasts, tax collectors, widows, and lepers who truly listen while the lawyers, Pharisees, and leaders are deaf to his words. While the intentions of the Pharisees in observing the laws and living a life of sacrifice had value, they sought a life of total perfection. In doing so, they were unable to see past the imperfections not only in others but in themselves and the full extent of God’s love. Therefore, the meaning within these stories is so crucial for our own faith lives today. For if we have all the faith in the world yet lack love, mercy and compassion we have nothing. In the story of the Sinful Woman, Luke paints two contrasting character portraits of lives of faith. 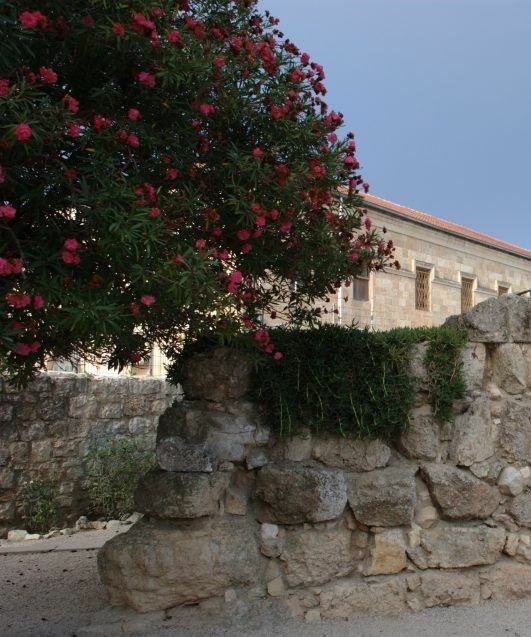 What began as a dinner invitation at the home of Simon the Pharisee, is both a moment of healing for the sinful woman, and of disconnection and judgment by Simon. The reason behind Simon’s invitation to Jesus could have been one of curiosity, or perhaps simply the honor in hosting the prophet. Whatever the reason, it is clear that Simon hasn’t invested his time or energy in providing Jesus with the full extent of his hospitality. When the woman appears, we learn that she takes the place behind Jesus, yet brings the very best that she has to offer- that of her desire to serve, heartfelt repentance and love. This woman would not have been intentionally invited, yet she made the difficult decision to come regardless. Knowing that she would suffer the comments and stares of those present to begin her life of faith and service. We are drawn in by this intimate scene with the woman weeping, kissing and wiping his feet with her hair and pouring perfumed oil on the feet of Jesus. 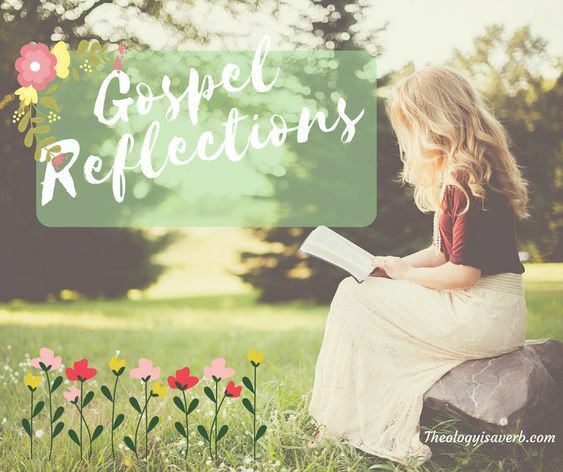 While Simon, sits and inwardly judges both the woman and Jesus questioning why Jesus would ever allow this sinner to even touch him if he were truly a prophet. What Simon questions, the sinful woman has accepted on faith. Still, Jesus challenges Simon to see this woman and her situation properly, and learn from her desire for forgiveness and faithful example. Finally, there is a peace that comes with the forgiveness and salvation found by the sinful woman that Simon is unable to know. 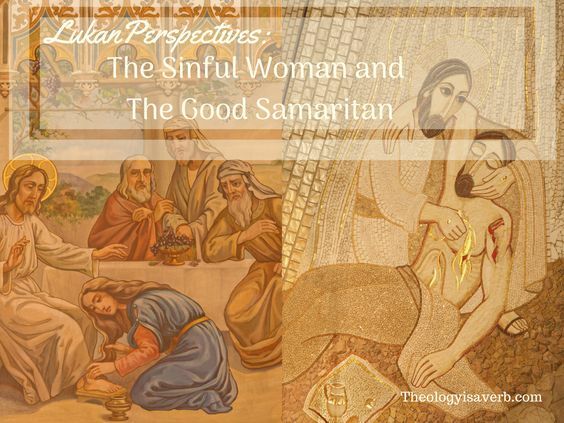 With the story of the Good Samaritan, Luke presents a challenge from a man of the law who is seeking to justify his own actions rather than truly wanting the answer on love and neighbor. First, we see how the fulfilling the demands of purity and ritual keep both the priest and Levite from fulfilling the greater command of love. Make no mistake, however, they each had a choice in their decision as Jesus clearly points out. With the Samaritan we find that the one who had the most to lose, and least to gain took the greatest risk in showing compassion beyond that which could have been expected. This time, Jesus challenges the questioner to see the mercy shown by the Samaritan, not as an encapsulated story but within the infinite mercy shown towards us by God. The Samaritan exemplified the point for Jesus that God’s love goes beyond the letter of the law, race, religion or position in society, for his love is without limits and universally extended to all. Today, in many of our churches we still have “faithful” that seek to limit God’s love, mercy and promise of salvation. This is expressed with judgmental glances, third party conversations, and an obvious misunderstanding of the sacrament of reconciliation. Witnessed also in the shallow perspective that compassionate action towards others remains charity instead of inherent calls to justice. For, we who have been given much, much more is expected. God’s love is not reduced because there are more at the table, but rather his Kingdom grows with every soul who takes seriously the greatest commandment. What is it about the image of a lowly shepherd that instills in us a reminder of the love of our Father? A shepherd’s primary duty is to tend to the needs of his flock and vigilantly guard their protection. Throughout scripture, this is the picturesque scene that tells of the wandering in our lives, and the constant guiding hand and voice that leads us. It is our narrative- of a shepherd and gatekeeper who does not passively watch over, but continually seeks after each one of us. Yet, allowing God to lead does not imply that we will not experience difficulties. Or that the path will be free of assailants along the way. Since, as this passage illustrates, there are “thieves and robbers” who will climb into our lives looking to steal our joy and lead us astray. 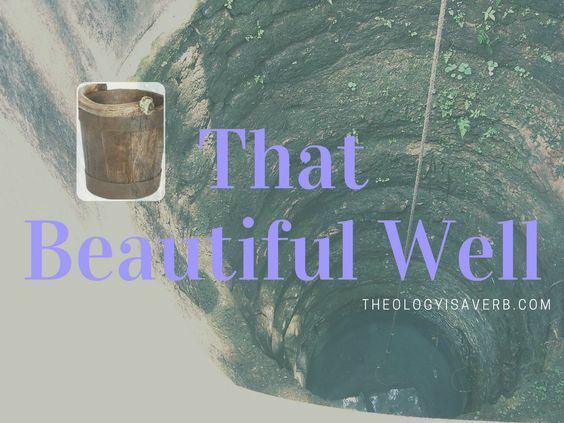 These thieves are often the voices of shame, regret, fear and pride that desire not only the ruin of our earthly existence, but to detract us from our forever home with God. For one day, our time spent grazing, wandering away and running from God will come to a rest. It is a time that we are to seek, pray and strive towards, and like a child joyfully anticipate. In Christ, “I am convinced that neither death nor life… nor anything else in all creation, will be able to separate us from the love of God that is in Christ”. He is both the Shepherd and the door. Am I allowing God to truly shepherd my life today? What might be robbing me of knowing his love and hearing his voice? Father, forgive me when I fail to listen to the sound of your voice. Choosing instead, to follow my will or the voice of another.